Team Phoenix was formed in 2001, and is located at the Saginaw Career Complex in Saginaw, MI. Membership is open to any High School student in the Saginaw area. The team SCC has been host to past Team Workshops and Seminars. The Charge was formed in 2008 as a combined team for H.H. Dow High School and Midland High School in Midland, MI. Midland High became a separate team in 2015. The Charge currently represents H.H. Dow High School and oversees the Franklin Robotics Center (soon to be moving to the Carpenter Robotics Center). Dow High School is host site for the Midland FRC District Competition. BlitzCreek was formed in 2011 and is located at Bullock Creek High School in Midland Township, MI. The team and Bullock Creek High School are hosts for an FTC Qualifier in November. 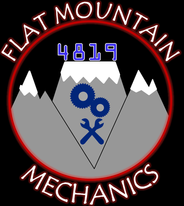 The Flat Mountain Mechanics were formed in 2012 in Mt. Pleasant, MI. The team is composed of home-educated students as well as teens from three local school districts. Although not a host site for an event, like all Board Member teams, they are major contributors to all GLBR events. Team 5166 "The Freeland Fabricators"
The Freeland Fabricators were formed in 2014 in Freeland, MI. Although the newest Board Member team, 5166 is heavily involved in the promotion of first...hosting FTC Qualifiers (duties now assumed by BlitzCreek) and FLL Qualifiers each fall.